We strive to provide the fastest time to market for your application with three different options for your Engineering design flow. CoreFire Next™ Design Suite, Open Project Builder™, and VHDL Board Support start your application with tested and proven interfaces to all board components. On day one you can show the board and interfaces work without any up-front engineering. This approach allows you to focus on your algorithm and not the low-level details of a complex FPGA based board. Whichever option you choose, you can rest assured knowing that your application is built on a solid foundation of our 30+ years of FPGA knowledge and experience. The Annapolis Micro Systems Open Project Builder™ provides the efficiency of CoreFire Next™ development with the flexibility of HDL. It integrates the CoreFire environment with Annapolis HDL board support packages. 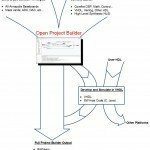 Open Project Builder is compatible with Arria 10, UltraScale/UltraScale+, and Stratix 10 boards. 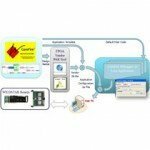 The CoreFire Next™ Design Suite is a dataflow-based development system that brings new levels of ease and speed to FPGA programming on Annapolis Micro Systems, Inc. high-performance motherboards, I/O cards, and mezzanine cards. CoreFire Next is compatible with all Annapolis Virtex™ 7 and Intel Stratix® V FPGA processor and I/O boards. 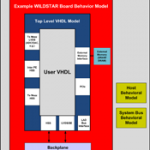 The VHDL Board Support is a complete design suite including all board level interfaces, simulation models and examples with host code. The examples show functionality of all board level interfaces out of the box.